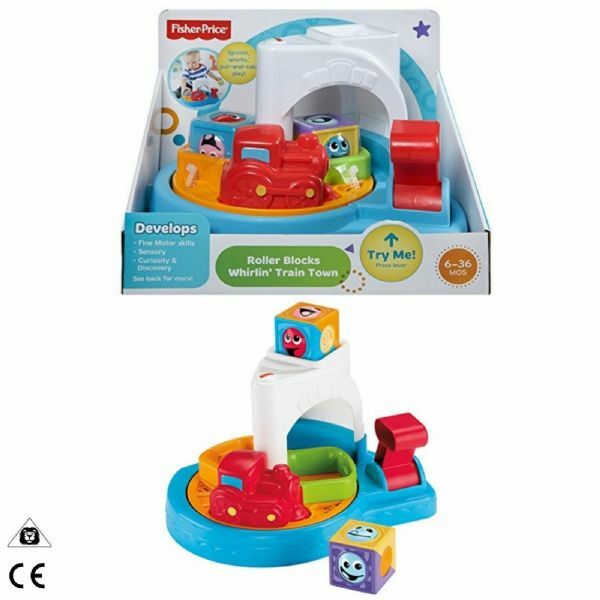 All aboard for roller blocks train fun! 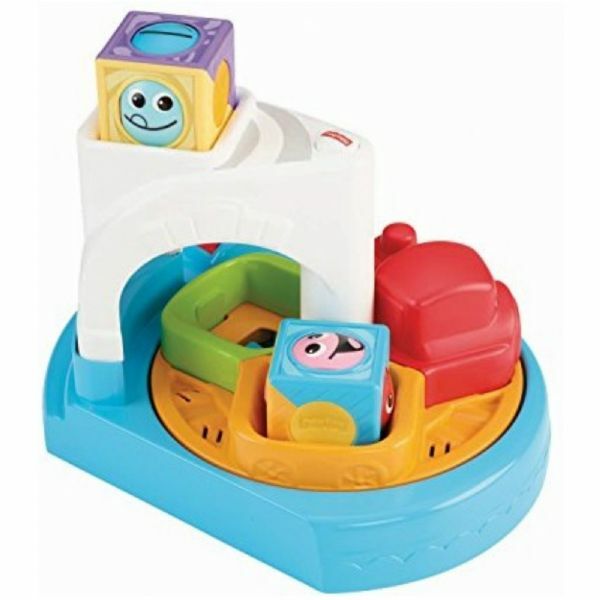 Roller Blocks Whirlin' Train Town adds stackin', rollin, 'round 'n' round' train play to baby's world of roller blocks fun! Baby can pull the lever to send the train 'round the track and through the tunnel. 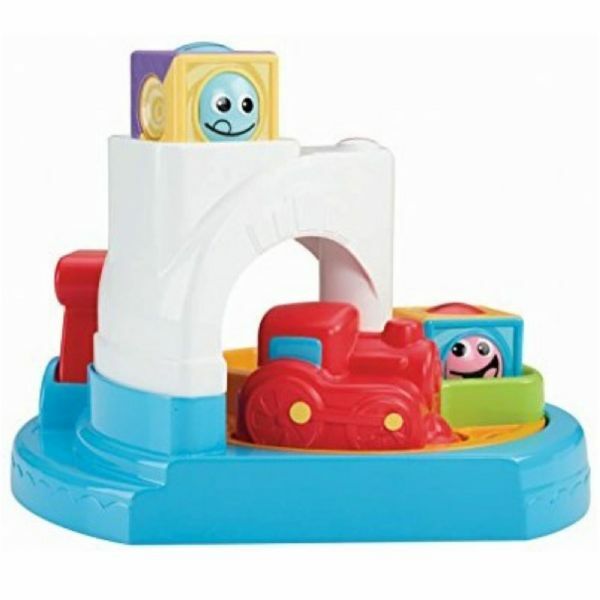 Two roller blocks can ride in the train cars -- see roller block faces spin as the train goes 'round 'n' round! 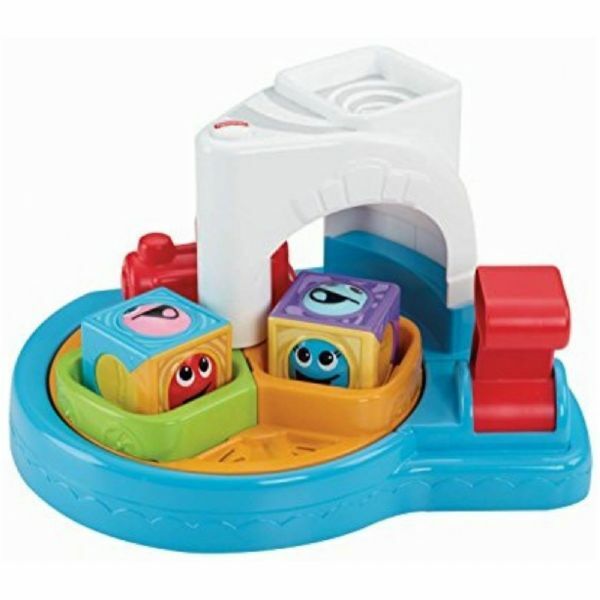 Older babies can stack blocks on top of the tunnel, too. Chugg-chugga, fun-fun! 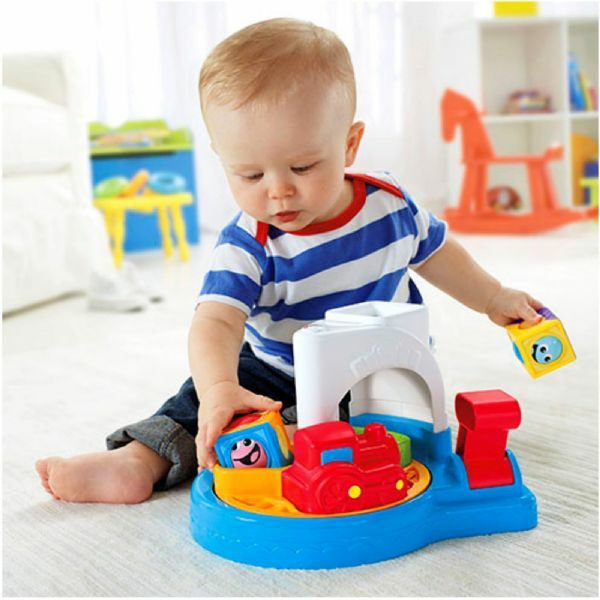 Roller blocks are fun for stackin', rollin' action play on their own, too.